Ever since the update that brought us Luigi’s Balloon World, we’ve had a steady stream of outfits released for Super Mario Odyssey. Starting with the Knight and Sunshine Shirt ones and moving through to the Broodal, Conductor and Zombie ones in later months, every few weeks has seen a new costume made available for Mario to wear in game. And it seems November is no exception. 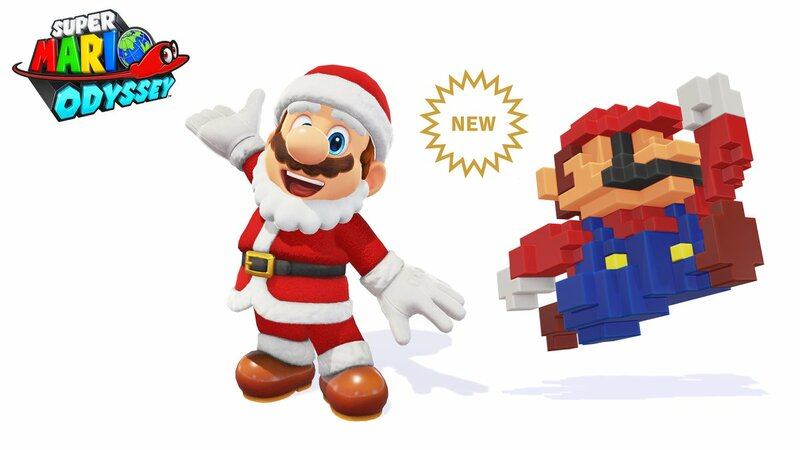 That’s because as the title suggests, the Santa Claus Outfit and 8-Bit Mario Cap have now been released for Super Mario Odyssey, and let Mario dress up as Santa/become an 8-Bit version of himself respectively. As you can see, they’re pretty pricey, with the 8-Bit one literally being tied with the Skeleton Suit for most expensive costume in the entire game. 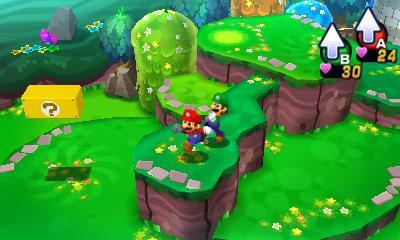 You’ll certainly be playing a lot of Luigi’s Balloon World to get coins for this one. But we guess it makes sense. Why? Because sadly for some, there’s a chance that today’s releases may well be the final costumes ever released for Super Mario Odyssey. That’s cause all the outfits and Hint Art Nintendo have made available in recent months have all been present in the game’s files prior to release, with videos demonstrating them being posted online as early back as May. And that list is now completely exhausted. Nothing more exists in the game’s files. There’s nothing for Nintendo to release next month. So it may be the end of Odyssey’s free updates. Super Mario Odyssey is a recent quick seller. Seriously, look it up. This game is literally the best-selling game on the Nintendo Switch, with the title having managed to sell over 12 million copies so far. And Nintendo’s been quoted as saying that titles like these would be getting additional support. That’s how the rumours of another Breath of the Wild expansion came about. How we knew that Mario Kart 8 Deluxe would be seeing more updates and DLC in the future. Or they’ll release a new update for the game, which sneakily adds in data for another six months’ worth of costumes and Hint Art. Either way, it’s unlikely it all ends here, and guaranteed that the future will hold some surprises for this title. But hey, what do you think of it all? Do you expect to see a major DLC pack or expansion announced for Super Mario Odyssey in the future? Or is this truly the end for Super Mario Odyssey’s updates and free DLC? Tell us what you think in a comment or over on social media today!